Home / Relationship / Loving & Understanding an Empath. 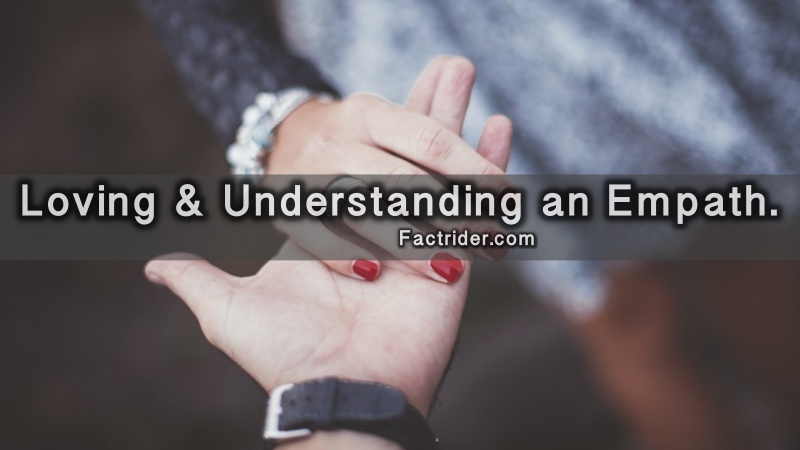 Loving & Understanding an Empath. Empaths are unique personality types, their sensory levels are always on high alert, they are incredibly intuitive and their awareness and sensitivity to the energy levels that vibrate around them are extremely high. Being a little naïve and trusting at times, the empath has doubted themselves and pushed aside their intuition, causing them to lose faith in the power they hold within that alerts them to any perceived signs of danger. That being said, the little nagging voice in the empath’s head will not subside until the reality and truth has been fully uncovered. Empaths like truth. However hard the truth is to handle, they would rather be told things straight than told a lie, even if it is a white one. Although the truth isn’t always pretty, it is much nicer than spending days and nights trying to make sense of all the complicated energies and subliminal messaging systems that are going on. If there’s one thing that empaths are amazing at it is dealing with a brutally raw and honest relationship. Although they can be rather delicate creatures on some levels, their strength in relationships is found where honesty, trust and loyalty come before anything else. One of the most tragic parts about the empath’s character is that all too often the love is cast out in all the wrong places. Empaths feel the pain and sorrow of the whole world and feel that they want to heal and fix the world up and make things better for all concerned. This can be an amazingly powerful thing and this energy is exactly what the world needs. However, this can also be a deeply painful way to exist. Empaths will immerse themselves in their hobbies and lose themselves completely and sometimes this can feel as though their interests are the only things that matter to them. Although they will have a deep attachment to their passions, it is far easier to understand that an empath loves all things at great levels of intensity and they need outside interests to survive and feel alive, this can sometimes be difficult for others to understand. There is no need to feel ostracized or unwelcome, while there’s a little chance an empath will let you fully in to their special interest, it is far more likely they will gain more pleasure when they are wrapped up in it by themselves. This is not selfish or inconsiderate, it is just simply how the empath’s heart and spirit operate. If they have a connection to something, it is intense and they will very likely wish to delve as deeply into it as is possible. Passions are a great energy release and empaths will possibly feel as though they zone-out while immersed, and they will very likely lose all track of time. Allow them to take pleasure in it, and with the free time this has created, take up interests separately rather than allowing resentment or frustration to build.